In Short: iFixit has just confirmed that the Google Pixel 3 features a panel from LG Display, not from Samsung, as its bigger brother, and it seems like this is a newer version of the OLED panel that Google used in the Pixel 2 XL. 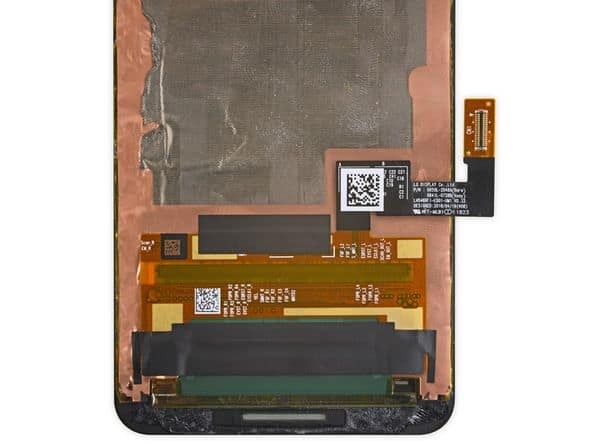 iFixit had published a Pixel 3 XL teardown quite recently, and thanks to that, we were able to find out that Samsung provided its displays for that device, well, it seems like LG opted to take LG’s panels for the Pixel 3. We’re still looking at OLED panels here, of course, as both devices sport them, even though they’re different in terms of resolution. Background: The Google Pixel 3 is the smaller of the two Pixel devices, and it ship with a 5.5-inch OLED display, and a fullHD+ (2160 x 1080) display resolution. The larger Pixel 3 phone, the Pixel 3 XL, comes with a 6.3-inch QHD+ (2960 x 1440) OLED panel. iFixit was able to find out that the Pixel 3 XL’s display is referencing the same Samsung DDIC used in the Galaxy S9, which is interesting, while Samsung’s digitizer is also used in that phone. As many of you already know, both the Pixel 3 and Pixel 3 XL were introduced quite recently, at the headlines have been (and still are) preoccupied by the Pixel 3 XL’s unsightly notch. The Pixel 3 XL, unlike the Pixel 3, sports a display notch, and quite a tall display notch, tallest out there, at least when it comes to mainstream smartphones. Truth be said, that notch is not too wide, but it makes up for that by its height. Google did manage to squeeze in two cameras inside of that notch, in addition to an earpiece and one of the phone’s front-facing speakers, so it’s there for a reason, at least. The Pixel 3 and Pixel 3 XL are identical in many ways, but they do sport different display and battery sizes, and look different from the front thanks to the Pixel 3 XL’s notch. Nobody knew who provided displays for these two phones, until iFixit revealed it, though it wasn’t hard to figure out that it had to be either Samsung or LG, and it turns out both companies participated, and both displays actually look really good, which is a relief following the Pixel 2 XL’s display woes from last year. The Pixel 2 XL’s display was provided by LG as well, and it was an OLED panel, but it seems like the unit in the Pixel 3 is much improved, as none of the issues that were present on the Pixel 2 XL are included on the Pixel 3, at least not on our unit. Impact: The Pixel 3 and Pixel 3 XL are already available for purchase in the US, though both devices are quite expensive. It is nice to see that Google learned its lesson when it comes to displays, as both Pixel phones now feature really compelling displays, at least at first. It is interesting, however, that Google opted to get displays from both Samsung and LG for its Pixel phones, instead of opting for only one OEM, but many companies have been doing something similar, so there you have it. You are reading an article on the Google Pixel 3 (Non-XL) Uses OLED Panel From LG: iFixit. All materials on the site Gadgets F, а также и статья Google Pixel 3 (Non-XL) Uses OLED Panel From LG: iFixit - written for the purpose of information enrichment and we are happy if you like our magazine.